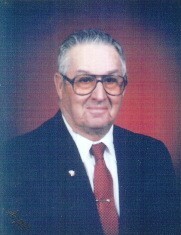 Obituary for Donald T. Brummer | Clark-Gashaw Mortuary, Inc.
Donald T. Brummer, 94, of Downs, KS passed away on January 25, 2019 at the Mitchell County Hospital in Beloit, KS. Donald was born on April 21, 1924 to Frank & Katherine (Ketter) Brummer in Tipton, KS. He had 7 siblings. Donald married Maxine M. Mans on October 15, 1946 and to this union 5 children were born. Donald & Maxine made Down, KS their home. They attended both the St. Mary Catholic Church of Downs, KS & the St. Aloysius Catholic Church of Osborne, KS. Donald was a farmer/cattleman. Donald was preceded in death by his parents; wife, Maxine in 2005; 2 infant sons, Lonnie Brummer & Gilbert Brummer both who died in infancy; 1 brother & 1 sister. Donald is survived by daughters: Jolene Aquilera of Edmond, OK; Deborah Bernard of Russell, KS; son Danny Brummer of Bennington, KS; sisters Vivian Steerman of Osborne, KS; Ruth Ellen Dubbert of Downs, KS; Carol Suter of Aurora, CO; brothers: Wendell Burmmer of Downs, KS; Wayne Brummer of Great Bend, KS; 15 grandchildren & 28 great-grandchildren.